Dr. Worley is a Board Certified OBGYN with academic appointments at 3 major medical universities where she serves as an Assistant Professor of Obstetrics and Gynecology. A highly skilled and compassionate physician, Dr. Worley has extensive training in high risk obstetrics, minimally invasive gynecologic surgery, and infertility. 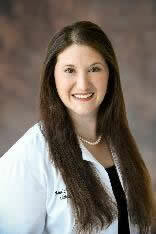 She has served as a Residency Site Director and has experience in resident and medical student education. She is involved in simulation training and quality improvement initiatives. She is also a dedicated researcher, experienced lecturer, and community volunteer. Dr. Worley's outstanding credentials include her medical degree from the University of South Florida College of Medicine in Tampa, internship at Emory University School of Medicine in Atlanta and residency training at Wake Forest University in Winston-Salem, NC. Prior to medical school, she earned a Bachelor's degree and completed a Post-Baccalaureate Pre-Medical Program at Rollins College in Winter Park, FL, and continued on to earn a Master of Medical Sciences degree at Boston University School of Medicine in Massachusetts.